The Mauritius Post released on 18 April 2013 a set of four commemorative stamps on the theme 'Sites & Monuments'. 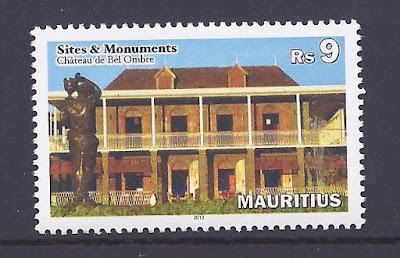 The Belle Mare Prison, situated on the premises of Constance La Gaieté Sugar Estates was founded in 1783. 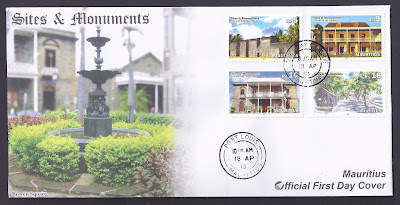 It is one of the rare preserved structures reminding us of the treatment meted out to slaves during the 18th and the 19th centuries in Mauritius. Most sugar plantations had slaves and the Letter Patents enacted under the Code Noir in 1723 provided various forms of punishment for offences committed by slaves. 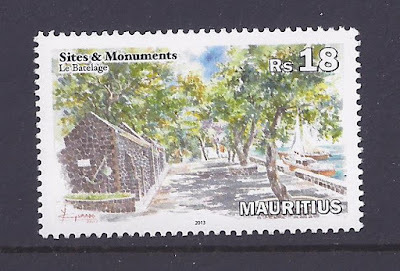 During the early British occupation until the abolition of slavery in Mauritius in 1835, the conditions of slaves fared no better. 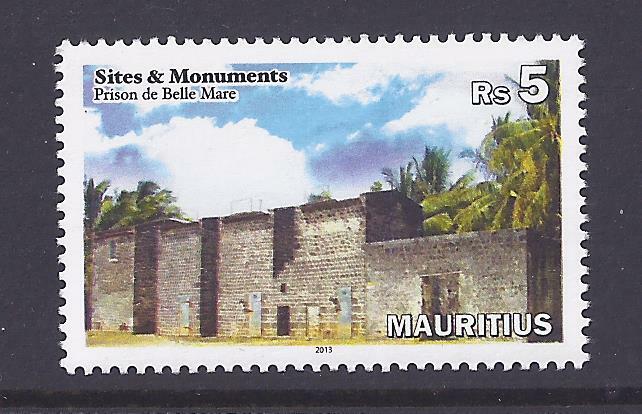 The Belle Mare Prison is made of basalt stone and lime mortar. The building is divided into three blocks; the longest block about 6.38 metres in length was used to keep slaves under restraint in fetters. Several cells are present and the original door openings are quite low. The original structure of the building has undoubtedly been altered and it was at one time even used by the sugar estate for tobacco curing. The Belle Mare Prison was proclaimed a National Heritage site in 1951. 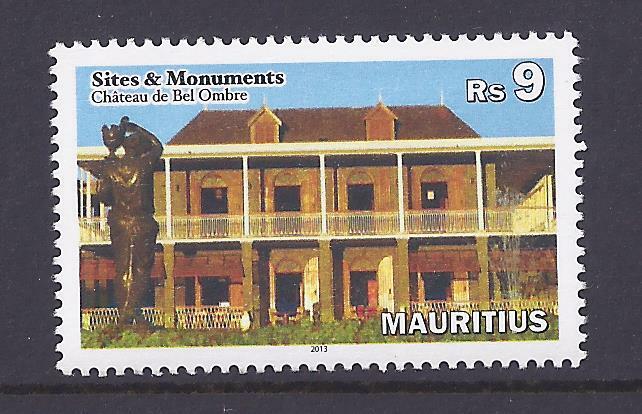 The Domaine de Bel Ombre was created in 1765 and in the early 19th century, the estate at Bel Ombre was planted with sugar cane on the coastal plains and produced sugar. Charles Telfair, from 1816 to 1833, developed this estate to a great extent by improving the sugar cane culture both field and milling operations and produced wood from the forests on hill slopes. The estate had various owners in the 19th century. 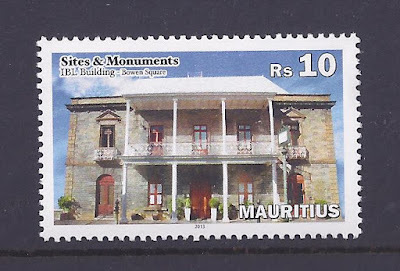 It is believed that the present plantation house, the Château de Bel Ombre (Bel Ombre Mansion), was built by a rich Indian owner, Mr. Hajee Jackaria Hajee Ahmed who never came to Mauritius. It was designed by the architect who built the Treasury building, now the Prime Minister's Office. 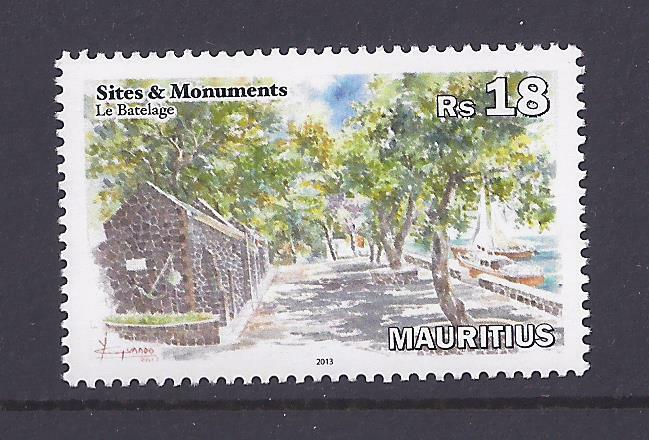 In the early 19th century, Mauritius experienced a fast expanding economy due to a soaring sugar industry and a rapid development of trading activities. The Thomas Blyth, Sons & Co. and the Hunter, Ireland & Co. were established in 1830 and 1850 respectively. Hunter, Ireland & Co., renamed Ireland Fraser & Co. on 1 July 1860, built impressive colonial style buildings in Port Louis in 1879 to House Ireland, Fraser & Co., General Merchants and Commission Agents; the Bowen Square was created. The company was also known as Blyth Brothers and was involved in trade, especially in the export of sugar, in shipping and in insurance. At the time, this stone building was in stark contrast with the other existing commercial ones of Port Louis. In November 1979, it became the registered office of Ireland Blyth Ltd. 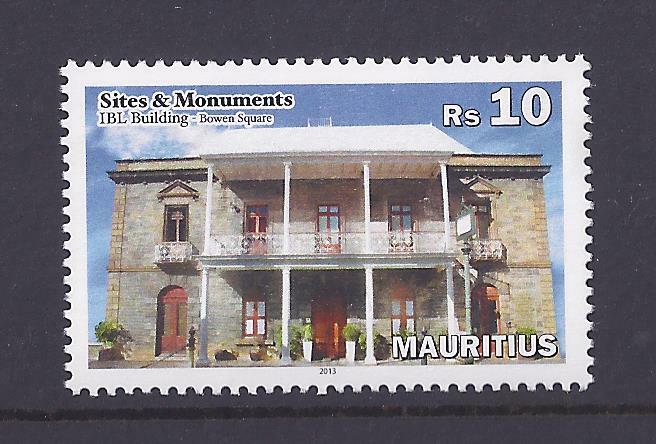 Since 2007, it is the registered office of Afrasia Bank Ltd.
Bowen Square is named after Sir George Ferguson Bowen, Governor of Mauritius from 1879 to 1882. The Port of Souillac was an important strategic point during the French occupation but it was not before 1787 that it was provided with the necessary infrastructure and wharfs to facilitate access to coasters and other vessels of low tonnage. Souillac was then a busy port area and the docks constructed within its precincts and which have of late been renovated as a tourist site, served as store for bales of sugar and goods before being shipped to Port Louis. 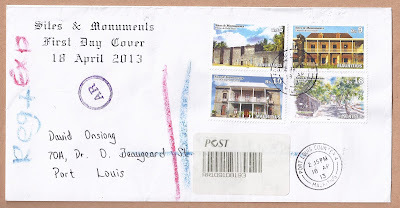 The Rs18 stamp is the only reproduction of a painting - by Y. Gunnoo - and the only stamp not to bear the location - Souillac - of the depicted place. The above text is adapted from the insert.